Ginger's Jumper is our second basic, everyday sort of jumper. This one has a slightly raised waist buttons at the shoulders instead of buttons down the bodice. 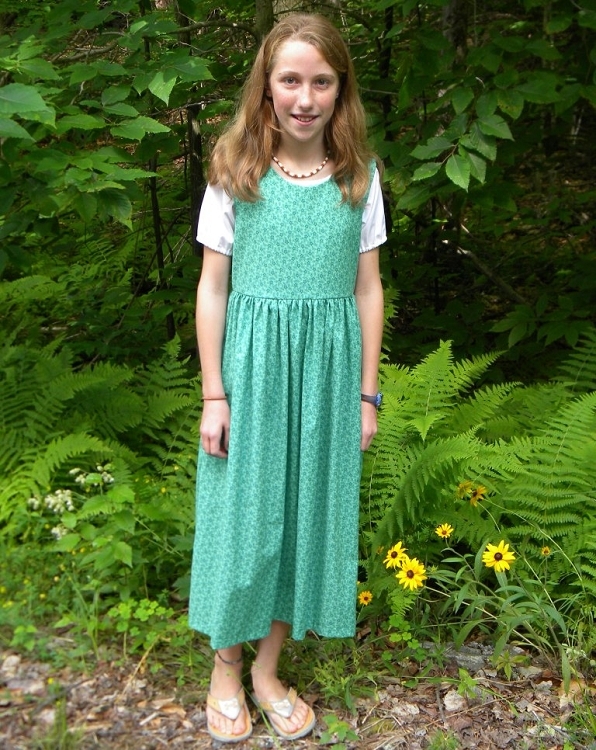 Because of the raised waist, it has a nice easy fit that girls find to be very comfortable. The skirt can be fully gathered or A-line with some gathers. Back ties and pockets are optional. This is a great jumper for everyday wear all year round and can be dressed up by simply putting a blouse underneath. You may choose from any of our fabrics for this jumper. Our Ginger jumper is also available in ladies sizes.